This was a “What’s in the fridge?” kinda salad. I’ve been so busy with cheese orders that I’ve neglected to cook for my Beloved who’s working on two big architectural projects. I was feeling GUILTY! 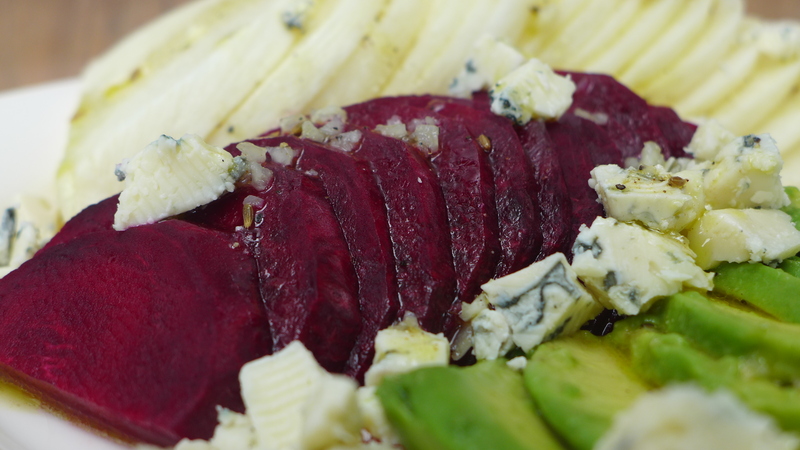 Nothing better than a gorgeous salad to repent with. 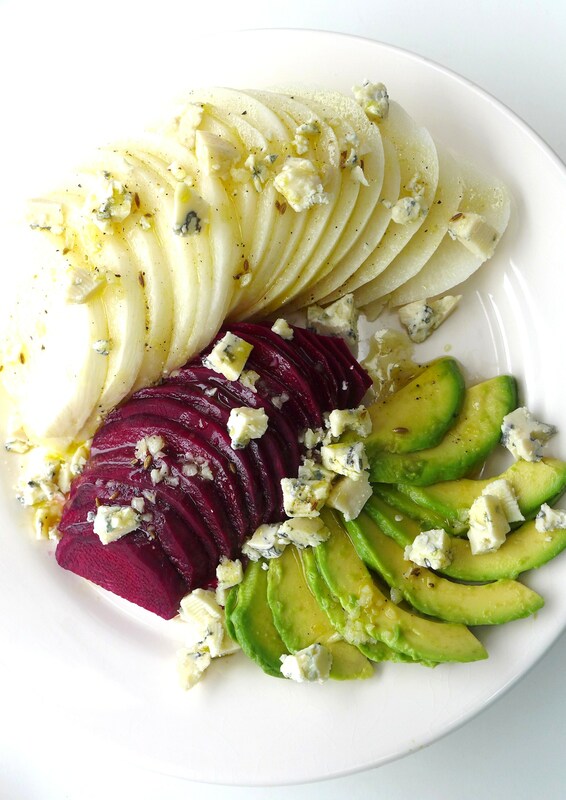 This is a jicama, beet, avo salad with garlic cumin dressing. Jicama (the white vegetable in the picture) is a Spanish vegetable which is described as a cross between a yam and a turnip. It’s crunchy, a bit sweet and very refreshing. You could just eat it plain and thoroughly enjoyed it as well. 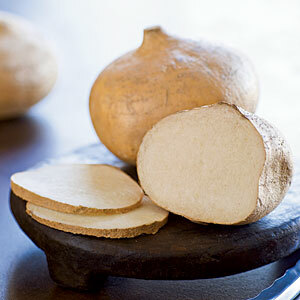 You can find jicama at every fresh vegetable market. If you didn’t see it, you probably just weren’t “looking” for it. I’ve not seen jicama in any traditional Taiwanese dishes so I’m always curious about why we have them so plentifully, here. Make hay, people. Make hay. Arrange on plate as in the main picture. Can you see the bits of cumin powder, black pepper and garlic? Finally, crumble well-aged gorgonzola on top. 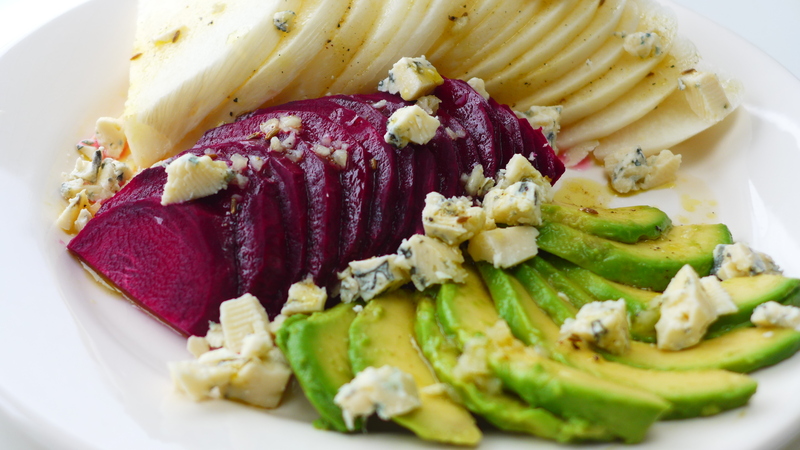 This entry was posted in Salads and tagged avocado, beets, Black pepper, cumin, garlic, gorgonzola cheese, haas avocado, jicama, olive oil, salad dressing, spring salad by Chef Prish. Bookmark the permalink. Are the beats raw? I dont think I’ve ever eaten them raw..
We’re having this salad tonight. 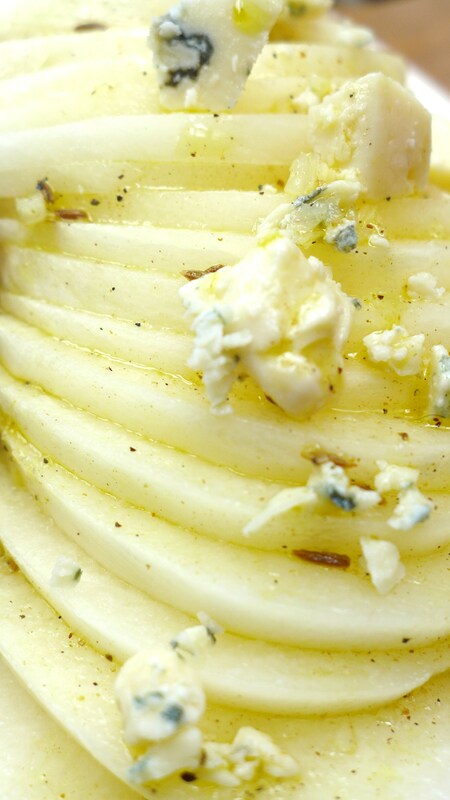 Have fresh gorgonzola from Cremelat Italian Cheese Shop! Just can’t find the jicama in Africa. Sweet potato it is then! Thanks! Delicious it will be! You’re so welcome. I recommend Asian pears or turnip as a substitute.